Welcome to our latest newsletter and we hope that you've had a good week both on and off the golf course, it's now just two weeks until the start of the Ryder Cup and it's shaping up to be another titanic contest at Hazeltine. European veteran Lee Westwood has fired the first shot across the American bows by questioning whether the US team has the chemistry as a team to perform to their full potential. World number 7 Bubba Watson has yet to receive a pick from American captain Davis Love and Westwood said, "Davis talked about chemistry and how players are going to fit into the team and and it seems he doesn't see where Bubba is going to fit in, with pairings and stuff like that." It will be interesting to see what the Americans make of Westwood's comments and we're sure that there will be plenty more 'friendly-fire' in the media between the two teams in the build up to Hazeltine and it could get very interesting! It could be said that the Hartford Masters is harder to win than the Masters Tournament the pro's play for at Augusta - the Hartford Masters contains a limited number of players that have had to win or do well in a previous competition over the summer to gain their place so it's an elite field! Antony Green qualified courtesy of his second place in the Club Championship but on Saturday he went one better as he took the victory with a fine nett 66. Antony had an up and down start as he had two birdies in his first 6 holes but also had bogeys and a double bogey, his first par didn't arrive until the 7th hole but from then on he settled down and played steady golf with pars on 6 of his last 9 holes. Mike Angel has returned to good form and he took second place with a nett 68 and Steve Bond also scored nett 68 in third place including back to back birdies on holes 15 and 16. At the end of season presentation Antony will be presented with our own version of the famous Masters green jacket and we're sure that he will be wearing it proudly, well done Ant!! Gemma Davies made it two in a row in the September Midweek Medal after she had also won the August competition, Gemma scored a fine nett 63 to take the latest victory. Gemma has had a good season and after a series of lessons from our professional Adrian Hill she is now playing off 24 after starting the season on 31, a really solid improvement over the year - well done Gemma! Paul Foster took second place with a nett 68 and Tim Barnes was third also on nett 68, the winner of the Midweek Medals Order of Merit Trophy is Marc Williams. We've now finalised our winter fixture list and it will be appearing soon on the website. In the last couple of years we have fitted countless golfers with Callaway irons and they have been among our bestselling irons because they offer great forgiveness and also fantastic distance, the 2015 XR irons and the 2014 Big Bertha irons are tough acts to follow but we think that Callaway have again come up with the goods with their 2 big new recent releases - the Steelhead XR and 2016 Big Bertha OS irons. Many of you will know the Steelhead name from years gone by and it has been resurrected again, also the hollow bore-thru design is a returning feature that you may recognise that saves weight and provides better stability on impact. The Steelhead XR irons are aimed at a mid-high handicapper who is looking to improve their game and pick up distance as well as accuracy and there are also matching hybrids to complement the set. The Big Bertha 2014 irons are already used by many of the members here and the big marketing strap line was that they were up to 2 clubs longer and this really was the case - one member went from hitting his old 7 iron 135 yards to 157 yards with the 2014 Big Bertha iron so with the new model Callaway really did have their work cut out to improve this model further. So how is the new iron even better than the old one? 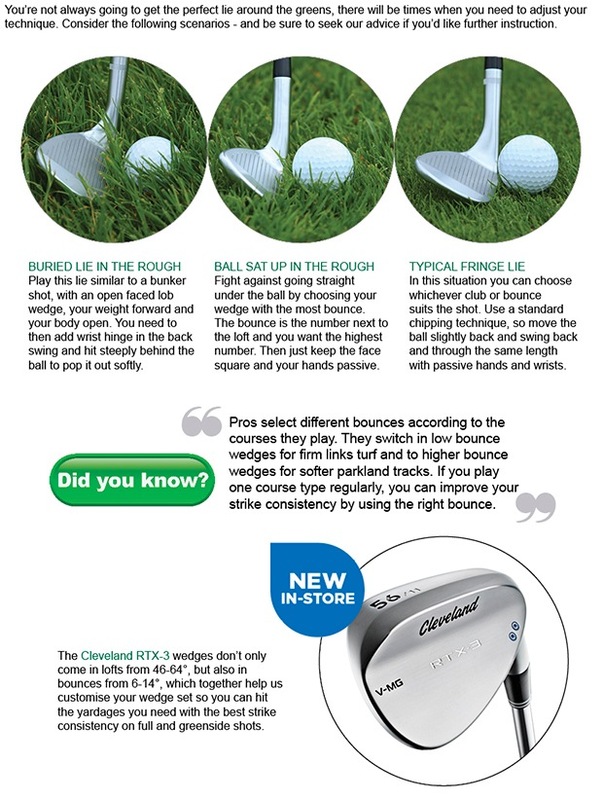 Well it's all based around a new Exo-cage technology which is an all new design that basically forms the chasis of the club head providing great stability but also allowing weight to be moved around to where it's needed most and a tungsten weight bar in the sole lowers the centre of gravity to provide high launch and maximum forgiveness. 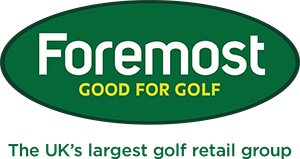 So you've read all about them now it's time to try these great new clubs, we'll even give you a free bucket of balls and you can take our 7 iron challenge, call down with your current 7 iron and we'll give you a new Callaway demo 7 iron in either the Big Berha OS or the Steelhead XR to try and you can see for yourself how good these new irons are. If you would like to book a custom fitting session please contact us here. Night Golf is back soon at Hartford on Friday 7th October at 7:30pm and the entries are already flying in, if you've not tried night golf before you really should give it a go as its great fun! It really is played in the dark and the only thing you can see is your ball which is lit up and some markers down the side of each fairway which make it look a bit like an airport runway and show you roughly where to aim, getting on the green is fun as you can only see a light at the bottom of the hole! Of course one or two drinks are consumed in the bar beforehand and there is usually a drinks buggy travelling around the course as you play, there is food in the clubhouse after the golf and prizes for the best teams, the cost is £25 per player and it always sells out so please contact me here if you want to enter a team of 4. The ladies played for the Midweek Trophy last Thursday and the winner was Sandra Peake with 37 points, Sandra has been playing well recently after her third place finish in the ladies competition the week before. It is the second time that Sandra has won this board competition and she is the first lady to have won it twice. Sue Bradley was just one point back on 36 points and Ann Broster took third place with 34 points, this Thursday the ladies play another 18 hole Stableford starting at 9:24am. The seniors played a nine hole Stableford this Tuesday and the weather was again good for them, Andy Goolding has been working hard on his golf and this was shown in his 26 point score and his handicap drops 3 shots as a result. Keith Morrish played well also in second place on 21 points and Brian Singleton took third on 18 points - next week the seniors are playing an 18 hole Stableford. With interest in the Ryder Cup building we thought it would be a good idea to have a bit of fun with our Ryder Cup prediction contest, for £1 a go you have to guess which team will win the Ryder Cup and also what the final score will be, you can have as many guesses as you like and whoever guesses the right winners and final score will win a share of the money in the pot as shop credit. So if you guess Europe will win by the score of 15-13 and this happens and there is £100 in the pot you will win that amount to spend in the shop, if two people win they would have £50 each to spend and so on. Just call in to the shop now and have a few guesses as it could be well worth your while and will make watching the contest that much more interesting! We’ve teamed up with Your Golf Travel to bring exclusive offers to our members and customers throughout the year. These fantastic deals – covering the UK, Europe, the rest of the world and even Tour event packages including the Ryder Cup - are only available through our website, here. 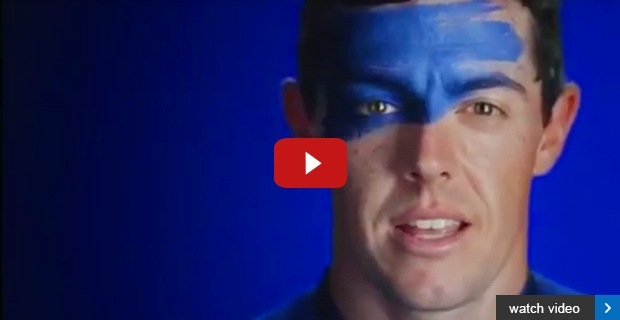 It's not long now until the chest thumping and fist pumping starts, and in the build up to this year's Ryder Cup at Hazeltine, a few of the players have been busy slapping on a bit of face paint. Time to book your place in front of the TV, or down the club, and watch all the action on Sky Sports.